Under this heading you will find them all: from notched trowel over smoothing trowel to tiling trowel. The difference of a notched spatula trowel compared to other trowels respectively other tiling trowels is first of all its shape. however have different notches. This means that tiling trowels are available with different sizes of notches whereas smoothing trowels haven’t got any notches. 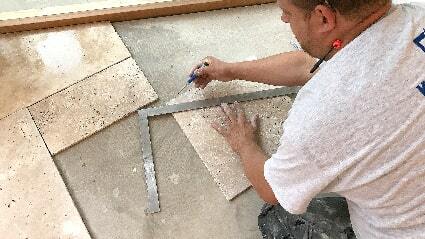 become notched trowels used for setting tiles by blanking squares in different sizes. Depending on the size and form of the „teeth“ we talk about thin bed, medium bed or thick bed fixing. Floor coverings can be ceramic materials like earthen ware, stone ware, porcelain but also artificial stone and natural stone as well as glass mosaics. 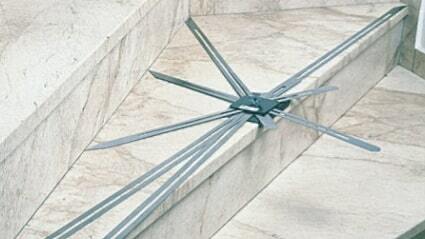 The adhesive can be applied on different substrates such as plaster, floor screed and masonry. are used to bond construction materials with mineral materials or to treat their surface like It’s the case when you level out substrates. Plasters are also applied to substrates such as brick masonray or concrete by using spatula trowels, trowels or smoothing trowels. 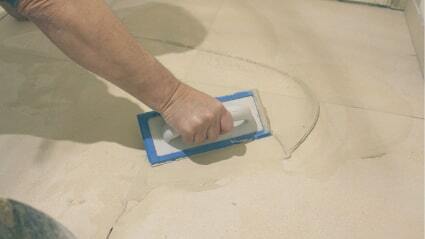 A trowel is used for applying different materials like for example tile adhesives to substrates. 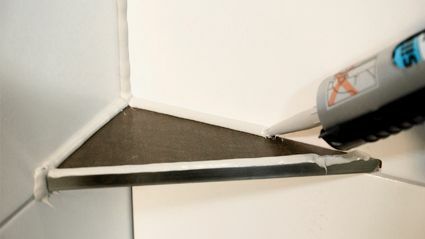 The height of the adhesive bed depends on the teeth of the notched trowel. The way how you use a trowel may determine the quantity of adhesive applied to the substrate. Most of the time, trowels with smaller teeth are used to apply the first contact layer – in doing so, the teeth of the trowels roughen the surface – this is required, especially in exterior areas. � A smoothing trowel is mainly used for smoothing surfaces. 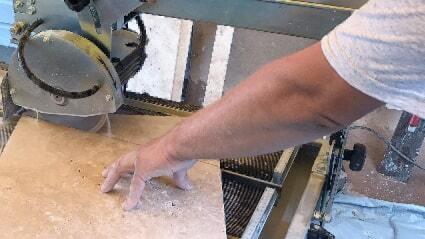 Notched trowels are used to apply tile adhesives in a comb-shaped way on the substrate. It’s the notches that allow for optimum bond between tiles, tile adhesive and the substrate. Aiming to make building trades work easier and first of all bearing in mind the health of our customers, Karl Dahm, the expert in professional tiling tools have developped these new, ergonomic 45° degree trowels. 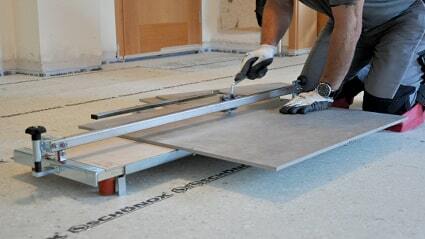 This kind of notched trowels help tilers to spread the tile adhesive evenly on the surface. 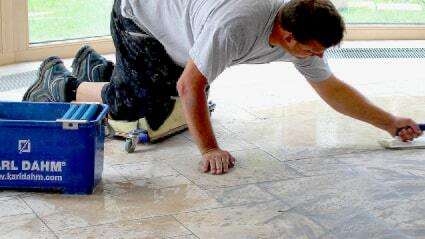 Furthermore, tilers can easily take care of their writsts. The ergonomic form of this 45 degree notched trowel allows for working with straight instead of bent wrists. These trowels ease the stress on your wrist. It will stay healthy, enabling you to create a perfect bed. The ergonomic softgrip handle allows for fatigue-free working. YOUR HANDS ARE YOUR MOST IMPORTANT TOOLS! The 45 degree middle bed trowel made of stainless steel is the optimal tool to all tilers taking care of their health. No more aching wrists and hands. 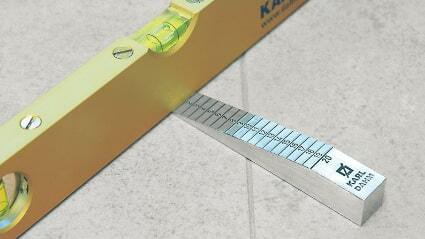 The new 45 degree notched trowel from Karl Dahm & Partner GmbH becomes more and more popular. The 45 degree notched trowel! Leading manufacturers of adhesives and ceramics as well as many of our tile setters are enthusiastic about this new notched trowel offering many advantages. A big advantage of this trowel is a better bedding of the tile. The height of the bed corresponds to a large extend to the size of the notches of the trowel. 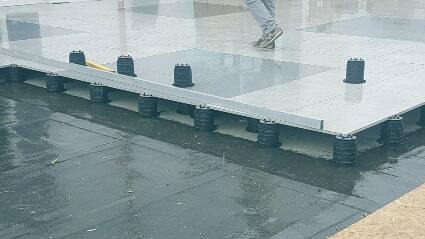 Especially large format tiles can be more easily adjusted in the mortar bed. 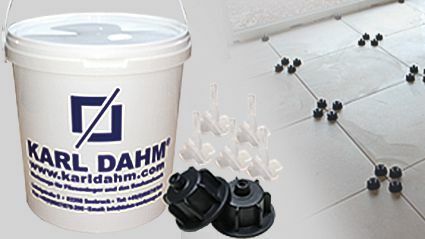 The company Karl Dahm & Partner GmbH have designed and patented a special mortar removal aid for buckets. This attachment facilitates the cleaning of 45 degree trowels and notched trowels. Do you have questions or do you need personal advice relating? Phone us or write us an email! Personal advice and technical service are our top priorities. Almost all products are on stock and immediately available. Get convinced by our Trowel: Notched spatula, smoothing trowel and tiling trowel and its quality!